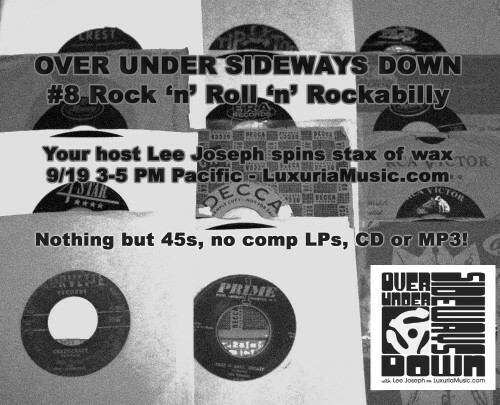 Join me on episode #8 of “Over Under Sideways Down” on LuxuriaMusic.com for two hours of Rock ‘n’ Roll ‘n’ Rockabilly 45s from the 1950s – I’ll be in-studio, live, playing almost all original 45s (with the exception a couple of now over two decade old repros.) No compilation LPs, no CDs and no MP3s! It will be a rockin’ good time for all! 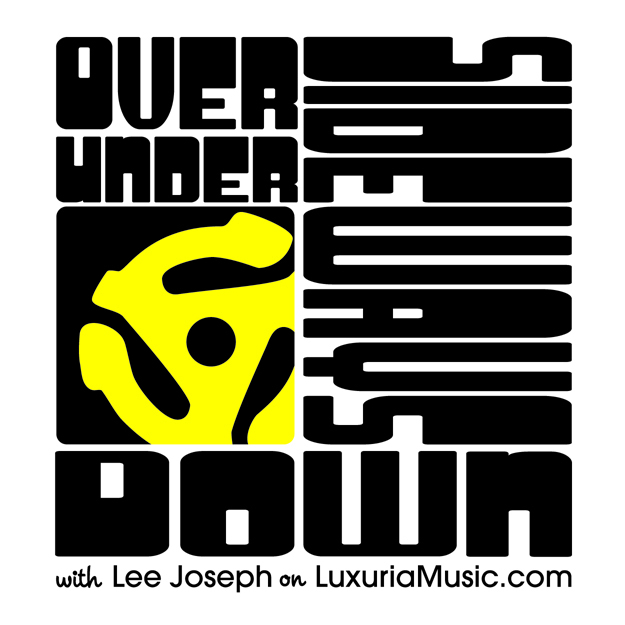 For the seventh episode of my ever changing, un-themed / themed LuxuriaMusic.com Internet radio show “Over Under Sideways Down”, I invited my pal, record collector and East-Coast transplant Jay Marshak to the studio with a couple of boxes of Doo-Wop 45s from his incredible rekkid collection. The result was a very entertaining two hours of sweet East Coast harmonies, rock ‘n’ roll, and lots of stories about Jay’s youth in late ‘50s – early ‘60s Brooklyn. Now I know what “dancing on a dime” means! Click here for a link to the show podcast – and below the photograph is the playlist! Listen with love!! 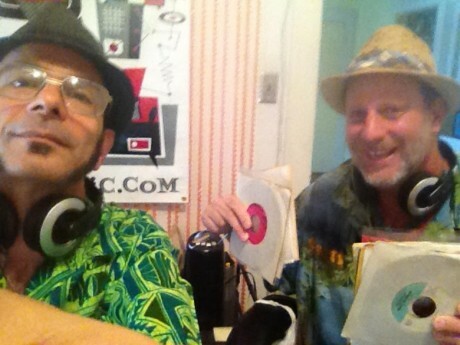 On Wednesday, September 5, 3pm – 5pm Pacific, tune in to “Over Under Sideways Down” on LuxuriaMusic.com for two hours of Doo-Wop from 45 RPM “rekkids” with my special guest, bona-fide Brooklyn boy Jay Marshak. Expect to hear some heavenly vocal sounds and a bit of background on these records from Jay’s collection!